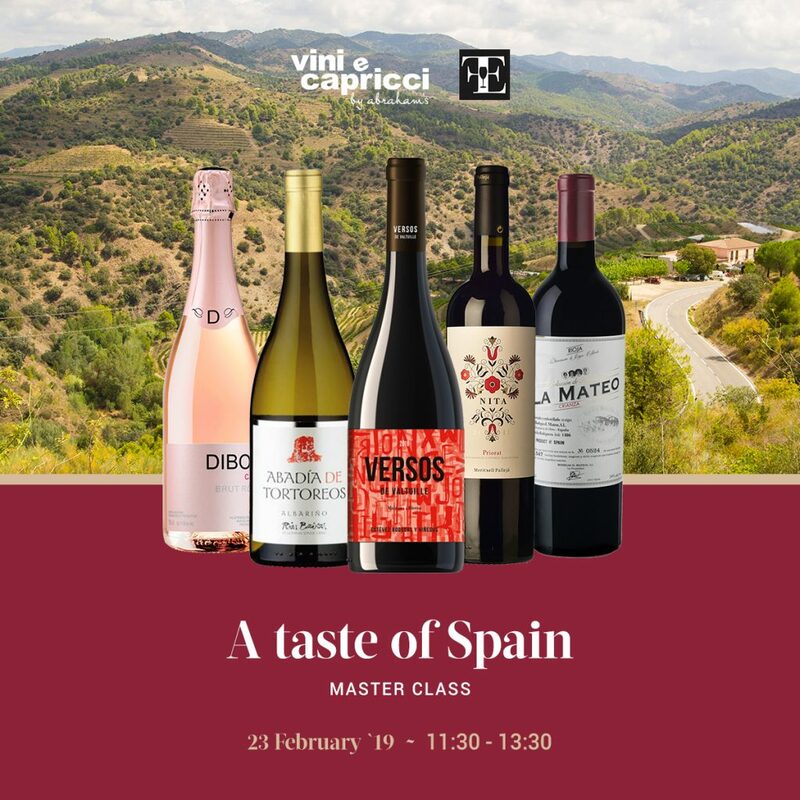 Join us on Saturday, 23rd February to discover the exciting treasure trove of Spanish wines and savour the unique terroir of Spain in our Wine Master Class, ‘A Taste of Spain’. The tasting will include Cava Brut Rosé Dibón, Albariño Abadia de Tortoreos, Versos de Valtuille Mencía, Meritxell Palleja Nita Priorat as well as Rioja La Mateo Collection. Master Class will be led by our French Sommelier and Wine Consultant Fabien Etienne who will gladly impart his knowledge to us. The event starts at 11.30AM sharp and the number is strictly limited to 30. Cost is €25, which will also include a selection of nibbles to be served alongside the wine. A 10% discount will be offered on the participating wines during this event. For any questions you may have, you can write us to viniecapricci@abrahams.com.mt or call us on 21563231.